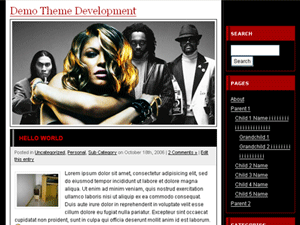 Description: A 2-column, widget-ready theme. Fergie is a (private theme modified for public use) WordPress theme made for fan blogs, specifically fan blogs of Fergie. Although I designed the banner, I’m not sure if you could use it without infringing on copyright so it’s best to replace that banner with your own.